"We have the privilege to work with distinguished clients who trust us to deliver their message and story. These awards are not only a testament to the hard work of our creative team, but to the merit of our clients as well." 3 Roads Communications has been awarded five Telly Awards for television programming and videos they have produced during 2017-2018. 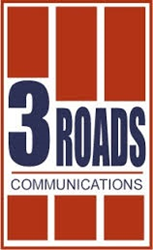 The 39th Annual Telly Awards have announced this year's recipients, with five Telly's being announced for 3 Roads Communications. The Telly Awards honor outstanding international video and film productions. For over a quarter century, the Telly statuette has been a symbol of creative excellence. "We are honored to receive prestigious Telly Awards for these great projects," said Russ Hodge, president of 3 Roads Communications, Inc. "We have the privilege to work with distinguished clients who trust us to deliver their message and story. These awards are not only a testament to the hard work of our creative team, but to the merit of our clients as well."